Felix Adler once said, "The hero is one who kindles a great light in the world, who sets up blazing torches in the dark streets of life for men to see by." That is a perfect description of what Memorial Day is all about. It is one of my favorite holidays. I like it because it allows me to honor those brave soldiers, who died fighting for our great nation. There are other holiday's that honor ALL soldiers, but this one is special, because of what it represents. There are a few ancestors in my family tree that died while fighting for their country. I have already written about Jacob Speck and John Frogge, Jr. Another, Elijah Koger , was killed during the Civil War. 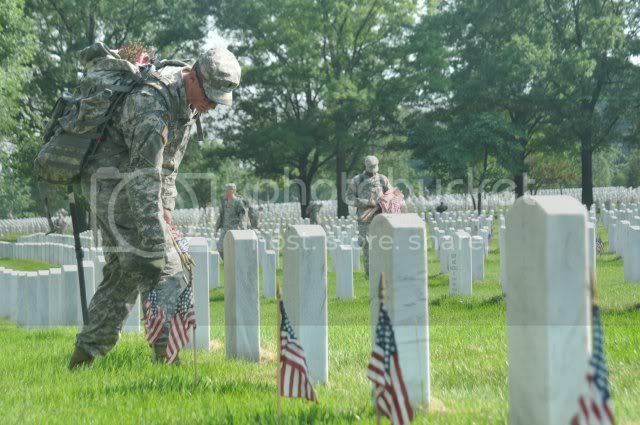 This weekend, I will visit a couple of cemeteries, where dead soldiers are buried, and I will praise them and the others who died for our country. They deserve our praise and our patronage. We can never forget their sacrifice. I hope you will take the time to remember them, too!